The legacy of Bruce Lee has transcended from generations to generations due to his classic films. 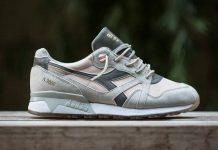 With Lee’s 75th birthday approaching, L.A. based boutique, BAIT, has teamed up with sneaker brand, Onitsuka, to present a collaboration that pays a proper homage to the legend. 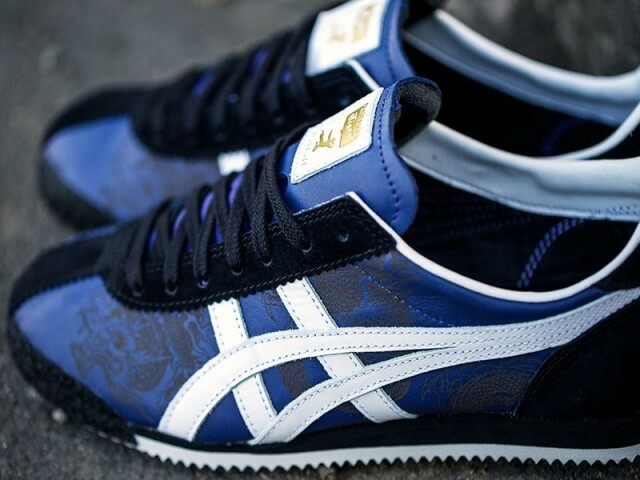 Dubbed the “Jeet Kune Do”, the shoes are inspired by Lee’s life philosophy and karate technique. 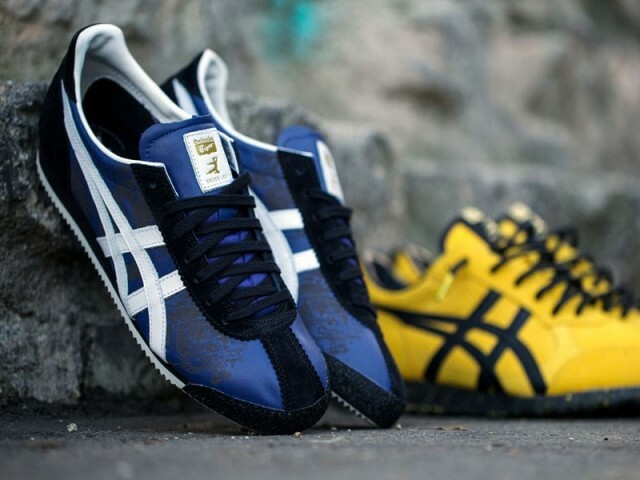 BAIT and Onitsuka decided to use the Corsair silhouette for the Bruce Lee dedication. 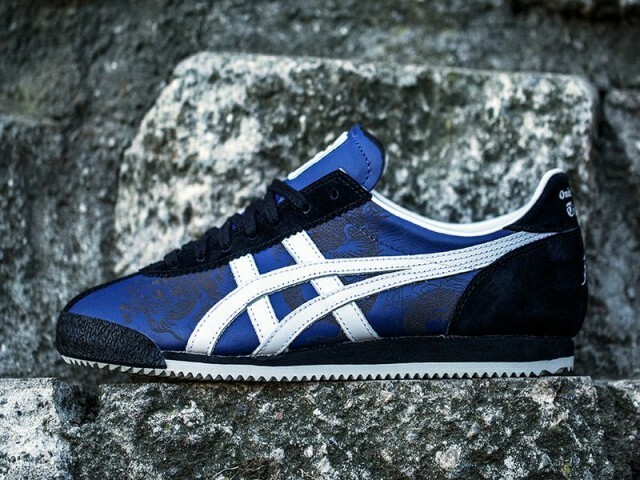 We get a preview of the Onitsuka Colorado that is featured in black and yellow. 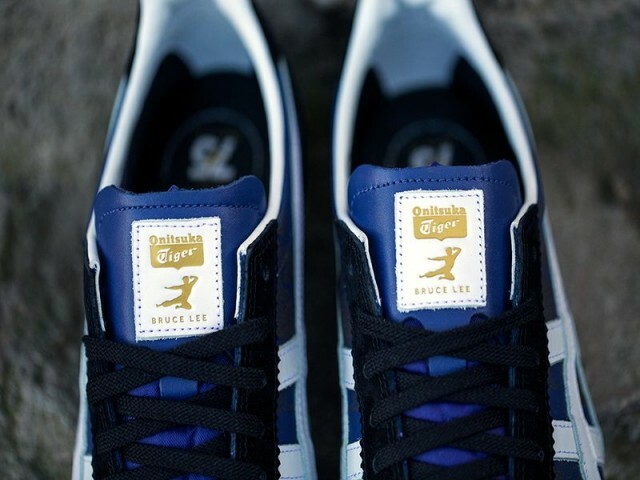 The Corsair model was chosen because of Lee’s wear of slip on shoes and it being the sneaker he wore in the Game of Death film. 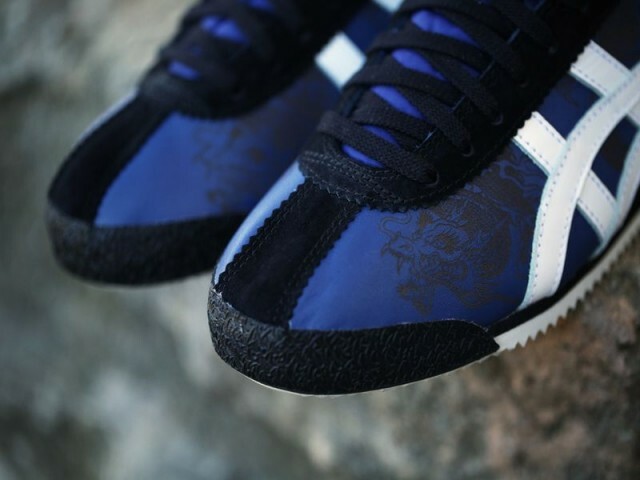 The upper of the shoe contains a combination of suede and leather, that pays respects to the karate uniforms that Lee would wear. 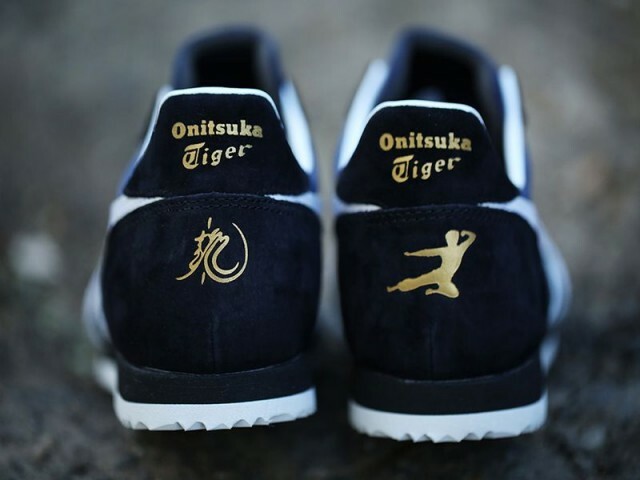 The shoes are complimented with Lee’s “Kickman” logo on the tongue and heel of the shoe in gold. 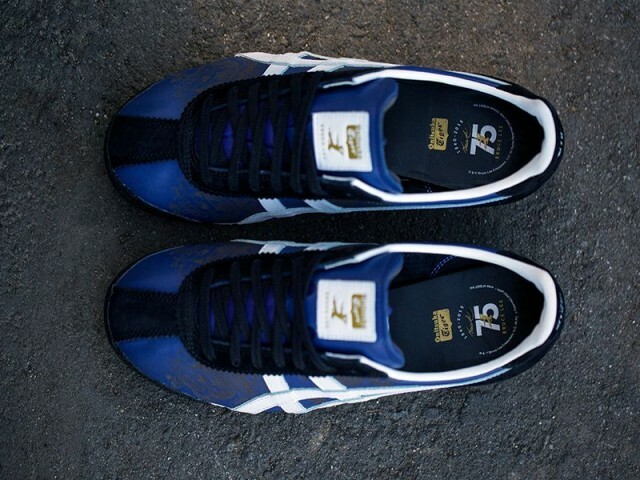 The shoes come with custom insoles and three sets of laces. 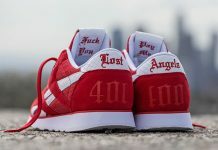 These commemorative shoes will be available at BAIT’s Seattle, Los Angeles, and Hong Kong pop-up locations. 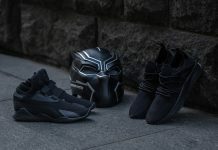 If you want to purchase online, you will have to grab a raffle ticket. Images of the aforementioned Colorado pair will be soon to follow.